Some concept stations for urban gondola systems. Courtesy of Frog Design. Here at EMBARQ, we perform research and share best practices across a wide gambit of the ground transportation spectrum: from buses and their fuels, to pedestrians and their safety. Gondolas, however, fall somewhere in between surface transport and …skyways. Gondolas – aerial trams, not Venetian boats- may provide a unique solution to moving people through a crowded and complex urban fabric, according to Michael McDaniel, the principal of Austin, Texas’ Frog Design. Cities around the world have adopted gondola technology for basic mobility. 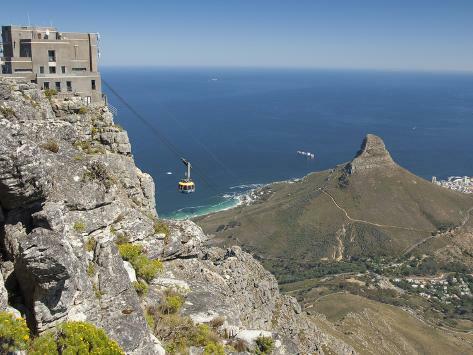 From Medellin, Colombia to Cape Town, South Africa, gondolas shuttle their riders to and fro along cables in the sky. McDaniel’s concept system takes gondoliering to a new level, providing a more practical approach for urban mobility; to move people dynamically through urban space, not just up and down a mountain. We spoke with McDaniel about his concept “detachable” gondola system that would “actually release cars from the cable,” allowing for multiple stations -not just a point A to B shuttle- along a route for on and off-boarding. Gondolas are frequently used as resort ski lifts and have taken off as more than just slope slingers in Breckenridge and Telluride, Colorado. 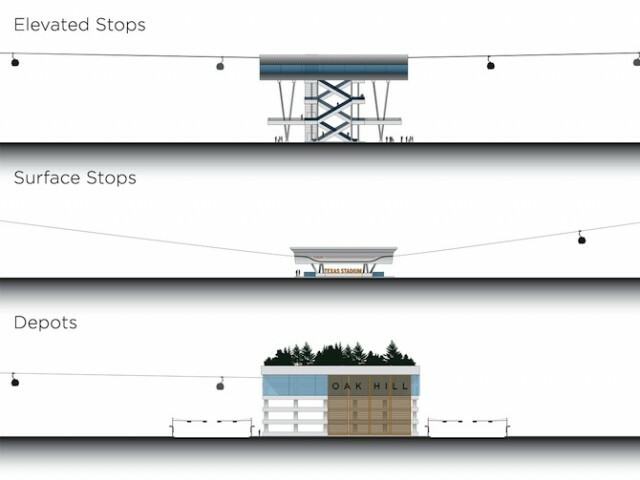 According to McDaniel, gondola systems now “replace” some bus lines in these famed skiing towns, though he does not see replacing commuter transport with these 4 to 8 passenger capsules. ” [The ski lift industry] will tell you 10,000 passengers per hour” can be moved on a single line, said McDaniel, which made this blogger inquire just why gondolas don’t float through more skylines? McDaniel offered, “They move quickly for short distances [yet] will never replace suburban rail,” and posited, “for downtown circulators, they work great.” Indeed, McDaniel felt that gondola tech might not be widely adopted due to the sheer novelty of applying them in the urban space. At an estimated $12 million per mile to construct, these systems cost significantly less than urban light rail and seem to be just futuristic enough for…the present. If McDaniel and Frog Design scale up and activate this tech of the slopes for the urban jungle, perhaps a gondola will be shuttling you through your downtown soon.